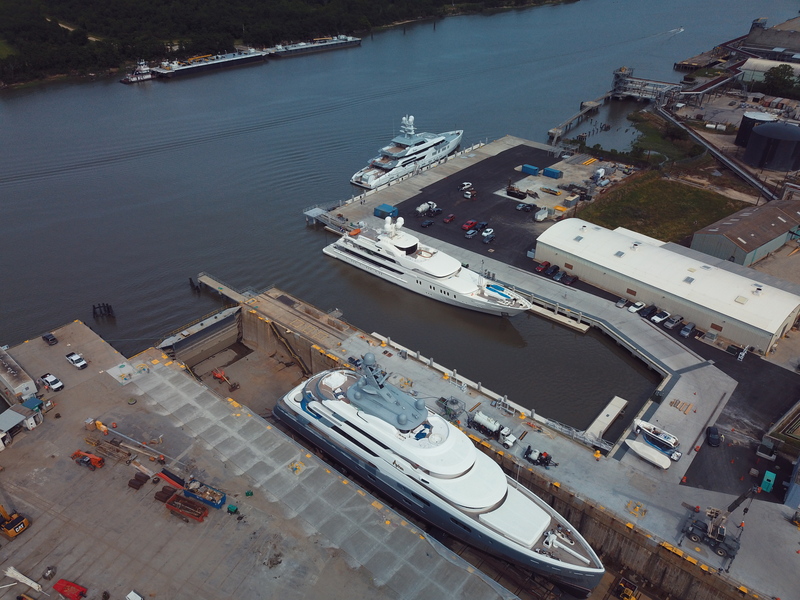 In addition to being strategically located the Savannah Yacht Center will provide its large yacht customers with the infrastructure to handle their maintenance, repair and refit projects. The yard is equipped with a 3,240 ton (gross) shiplift platform capable of hauling vessels up to 80 meters on the hard. Our graving dock can handle yachts over 100 meters. For in water service the yard offers floating docks for yachts up to 122 meters. These combined with skilled tradesmen and trusted subcontractors allows us to service our large yacht customers needs.